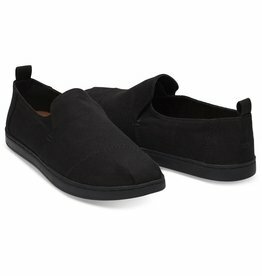 The style of a subway-riding Brooklynite in black, per Manhattan dress code. The Deconstructed Alpargata takes our classic style and loosens it up a bit. 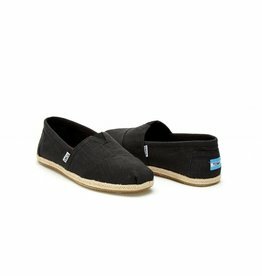 The exposed seams and rubber cupsole bring a little edge yet the washed twill keeps it casual. All this adds up to a very Southern California slip-on. 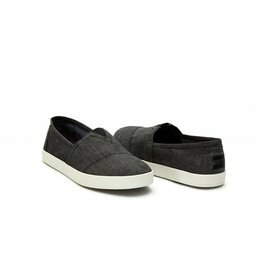 The Avalon features all the slip-on goodness of TOMS Classics, with the added comfort and stability of our custom cup outsole. 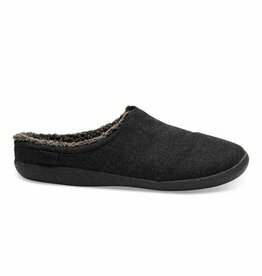 Kick back at the house or slip out to the store—whatever is on the agenda, this slipper will keep your feet warm along the way. 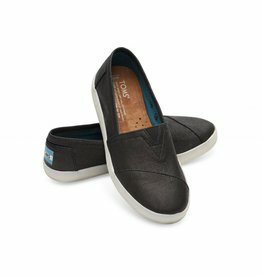 A transition shoe. 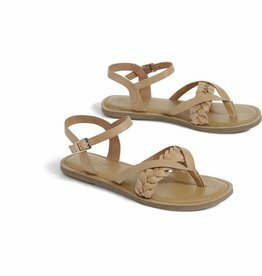 Day to night, summer to fall–the Jutti Mule has the ease of a sandal without the open toe. The silhouette defies traditional structure, while linen brings Hamptons-style class. Metallic finish for fun. Take laid back to the next level with these deconstructed esapdrilles. The chambray texture, minimalist structure and espadrille sole make these the ultimate casual slip-on. 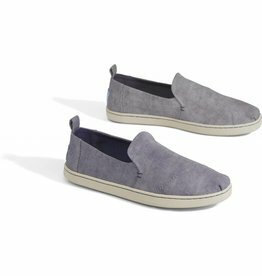 Featuring an espadrille-inspired rope sole, these Linen Classics are a truly unique pair. 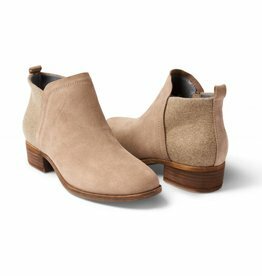 You’re fun, and we figure your shoes should be too. 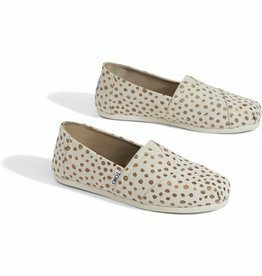 That’s why we made the iconic Alpargatas in a playful polka dot print. With rose gold foil, it sparkles just the right amount. 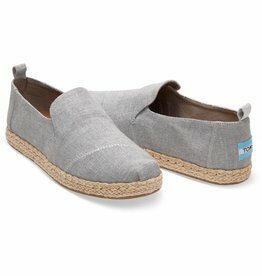 Designed in chambray, these Avalons have all the slip-on goodness of TOMS Classics with added comfort and stability. A refresh on what we know and love that took us back to where we started. 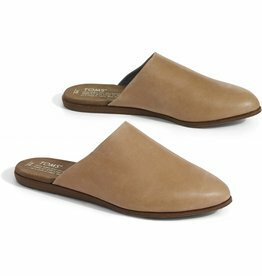 The Classics, with the original details including a suede footbed and old-school outsole. 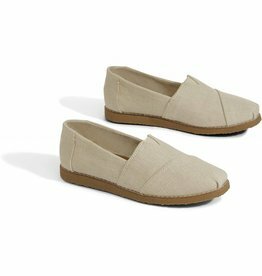 TOMS wanted to make a heel that was elegant without being over the top or uncomfortable (we’re looking at you, five-inch stilettos). 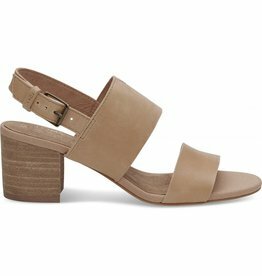 So our design team dreamed up the Poppy, a sling-back sandal in leather with a stacked heel.